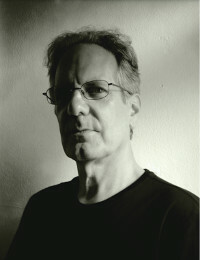 Allen Anderson (Professor) received a Bachelor of Music (1973) from the University of California at Berkeley, a Masters of Arts (1977) and Doctor of Philosophy (1984) in Theory and Composition from Brandeis University. A composer and Head of the Composition Area, he teaches courses in composition, theory, and analysis. Before joining the UNC faculty in 1996, he taught at Columbia University, Wellesley College, and Brandeis University. He received the Philip and Ruth Hettleman Prize for Artistic and Scholarly Achievement by Young Faculty at UNC in 1999, a Schwab Academic Excellence Award in 2017, and is a Fellow of the Institute for Arts and Humanities at UNC. Recent works include Speak, Then, written for Tonu Kalam and the UNC Symphony Orchestra; Intrada, a wind and brass dodecatet for Evan Feldman and the UNC Wind Ensemble; solo compositions for flute, viola, and violin; Graffito for computer manipulated sound and digital images with the photographer Tama Hochbaum; and Et ex oculis subito for chorus, viola and percussion. He has composed scores for silent films: Hans Richter’s 1926 Filmstudie and the full-length 1922 Breaking Home Ties. In 2005, he completed Arnold Schoenberg’s choral setting of the Appalachian folksong “My Horses Ain’t Hungry.” In 2008, he composed the music for Iceblink, a multi-media meditation on the Antarctic in collaboration with photographer and UNC flutist Brooks de Wetter-Smith that Centaur Records released as a DVD. He is currently completing Fire, a setting for two singers and string quartet of Gladys Cardiff’s poem “Where Fire Burns.” The piece is a companion composition to his Remove/–––––––, a multi-movement work for mixed ensemble and five singers on the subject of the 19th century Cherokee Removal from the southeast. In addition to writing fully notated acoustic scores, he has over the last two years participated in live, semi-improvised electro-acoustic sound creation. Fire (mvt.1), soprano, baritone and string quartet, 2017. Intrada, wind and brass dodecatet, 2017. Mise en Cie, piano solo, 2016. “A Breathing Too Quiet to Hear” chorus and piano (text of Denise Levertov), revised 2015. A Handsome Device, fanfare for brass quintet, 2014. Speak, Then, large orchestra, 2014. Et ex oculis subito, viola, percussion and chorus (text from Virgil), 2013. The Fugitive Guest, violin, 2013. Music for Breaking Home Ties, silent film score, mixed ensemble, 2013. Music for Hans Richter’s Filmstudie, silent film score, mixed ensemble, 2012. Remove/___________ , for five singers and eleven instruments, 2010. Graffito, for computer manipulated sound and the digital images of photographer Tama Hochbaum, 2010. Some Ragged Spots, piano solo, 2008. Iceblink, multimedia work for soprano, narrator, 8 instruments and digital photographs of Antarctica by Brooks de Wetter-Smith, 2008. Instrument of the Tongue, songs for soprano and piano on poems by Emily Dickinson, Robert Frost, Denise Levertov, Alan Shapiro and Robert Pinsky, 2007. “This Night, This Moment,” for a cappella chorus on text by Li Po, 2007. “My Horses Ain’t Hungry,” a cappella chorus, completion and adaptation of sketches by Arnold Schoenberg of the Appalachian folksong, 2005. Held In the Weave, Collected Letters, All These Are Scenes of Life In and Around The Rectangle With An Opportunity for Mischief, Some Ragged Spots, Cloud Collar. Curt Macomber, Charles Curtis, Aleck Karis; David Russell; Rasa Saxophone Quartet; Thomas Warburton; Empyrean Ensemble. Albany Records, Troy 1509. Iceblink, Centaur Records, CRC 8001. Casting Ecstatic. Curt Macomber, violin, CRI 898. Solfeggietti, String Quartet, Drawn From Life. Aleck Karis, piano; Lydian String Quartet, CRI 727. Charrette, Speculum Musicae, CRI 617.